Breaking the Cycle: Could Iranian and U.S. officials overcome their mutual distrust? After inking an interim agreement at the end of 2013, Iran and the P5+1 must now finalize a final nuclear agreement within six months. If they fail, U.S. and Iran will relive the cycle of mutual hostility in which the two countries have been entangled for more than three decades. Both parties seem eager to break that vicious cycle this time around. Iran has its own reasons: no actual interest in building nuclear weapons and strong interest in finding new markets and opportunities for its emerging economy. Western powers claim that the devastating effects of the harsh economic sanctions and the election of moderate Iranian president, Hasan Rouhani, are the main reasons for optimism. Let’s examine both reasons in the context of historical facts. Immediately after the 1979 revolution, Iran was subjected to a devastating war, spearheaded by Saddam Hussein, who was financed and/or backed by most of the Gulf States and their Western allies, including the United States. After eight years of war, nearly 300,000 Iranians lost their lives and Iran’s economy was diminished by an estimated $550 billion. The end of the war did not bring any relief: Iranian assets were frozen and U.S. administrations incrementally continued to impose new economic sanctions, including a comprehensive trade and investment ban on Iran that took effect in June 1995. Yet, then, too, Iran elected a moderate president: Hashemi Rafsanjani (major ally and supporter of current president, Hasan Rouhani). The conservative daily Jomhuri Eslami, on the other hand, blasted Pelletreau's remarks as an “election publicity ploy used by Clinton for domestic consumption. This is not the first time that Washington officials have requested dialogue with Tehran and, naturally, they will not get a positive answer this time either,” wrote the daily quoting an unnamed informed official. In November of 1996, Bill Clinton was elected to a second term. He had about one year to work with Rafsanjani, who was in his second term and constitutionally barred from running again, to settle some of their differences. He did not take that opportunity. 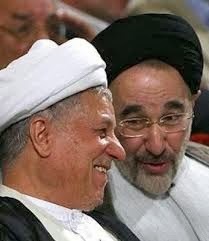 Still, Iranians elected another “moderate” president, Mohammad Khatami, a former minister of culture, who would govern for two consecutive terms. Still nothing happened. The administration’s desire to enter into a dialogue with Iran was torpedoed by legislative actions adding more sanctions, which gave credence to opponents of normalization, and by accusations that Iran was involved in the bombing of the U.S. troops in Saudi Arabia. Still the White House remained hopeful, without initiating any actual steps that could break the ice. On May 29 1997, President Clinton described the landslide election in Iran of “moderate” president as ``interesting and hopeful.” He called it “a reaffirmation of the democratic process there.” Clinton, again stressed that what “we hope for is a reconciliation with a country that does not believe that terrorism is a legitimate extension of political philosophies.” But these reconciliatory words were undone by Congress. A group of senators, including then Senate Majority Leader Trent Lott, suggested that President Bill Clinton ought to intensify U.S. efforts to isolate Iran, not scale it back. 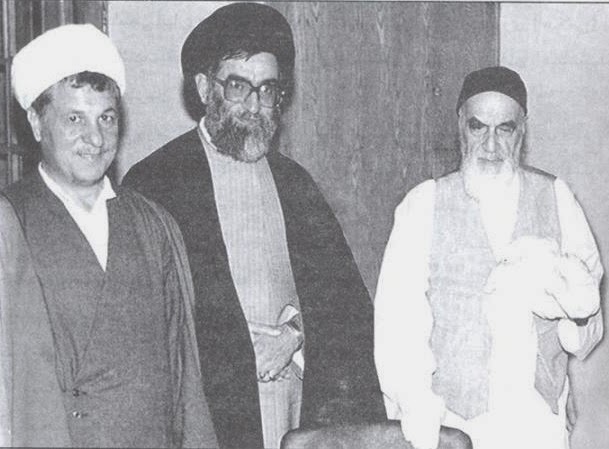 “We urge you to maintain and intensify your efforts to isolate the Iranian regime through diplomacy and multilateral fora, since there is simply no reasonable cause to believe this regime can be reformed from within,” they said in the letter to Clinton, signed by 10 senators and dated February 10 1997. France, a major ally then and now, defended on May 20 1997 the right of its oil companies to sign contracts with Iran despite unilateral U.S. sanctions, saying that Tehran “was not subject to any international embargo.” Interestingly, this week (February 11, 2014), the French president, Francois Hollande also defended French businesses’ rush to seek investing opportunities in Iran when President Obama reminded him that the sanctions are still in place. It became clear with time that no government was actually behind this attack and that Saudi Arabia may have wanted to accuse Iran to dispel any perception that the Kingdom is an incubator of extremism. It took years before intelligence officials began to suspect that al-Qaeda or groups affiliated with and/or inspired by it could be behind the attack. Revising the events of that decade underscores the cycle of distrust that paralyzed the two nations’ leaders. Hope for normalization of ties with Iran evaporated under the heat of regional and internal politics. Each side found reasons to mistrust the other. The 1990’s was a decade lost and the presence of three pragmatic presidents in Iran and the U.S. was an opportunity wasted. The opportunities of that decade were lost but the same exact circumstances are presenting themselves again now. A pragmatic president occupies the White House, a moderate president in Tehran, a common global threat represented by al-Qaeda, and a challenging deadly crisis in Syria. Will both sides recognize the pattern and try to end the cycle of mistrust or will past grievances and unhealthy pride derail the efforts that are now underway. Looking at past statements, it would appear that both sides are held hostage to the circumstances that drove them apart. They are recycling the same claims and counter claims when they need to focus on the moment they are given and on the possibilities ahead of them. In both countries, leaders who tried to work out their differences two decades ago are still around: they are institutions of authority in of themselves and a repository of firsthand knowledge about international affairs. Perhaps President Obama and President Rouhani could call on Jimmy Carter, Bill Clinton, Hashemi Rafsanjani, and Mohammed Khatami—a tiny club of former “moderate” presidents, to sit down outside the confines of governing institutions and talk about their respective grievances, fears, and hopes and make recommendations to the two governments to solve this dispute once and for all. 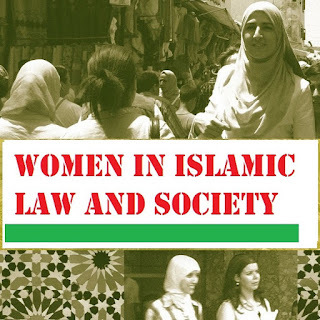 With the rise of sectarianism, threats to minority communities, and the new conditions produced by the Arab Spring, Iran’s role in bringing stability to that region is undeniably crucial. In Syria, Lebanon, Iraq, Yemen, Bahrain, and Afghanistan, Iran could play a stabilizing role. Dialing down the rhetoric and backing off from confrontational postures between the U.S. and Iran is good for the two countries, for the region, and for the world. The two countries can start a new chapter if they commit themselves to the principle of mutual respect. A settlement of this running feud would free both governments to focus on building opportunities for their respective peoples, not building weapons of killing and destruction. Attempting to bypass Iran during this unpredictable times amounts to willful forgetfulness of the immediate past and stunning ignorance of the facts.